Newton County Sheriff Keith Slape is asking assistance from the public to the whereabouts of a missing man from Pelsor. Slape said that Dennis Zent,57 years old, of Pelsor, was reported missing and his office was asked to do a welfare check on him at his residence on December 4th. Slape stated that the responding deputy found the house unsecured and Zent's animal still on the leash with Zent no where to be found. " 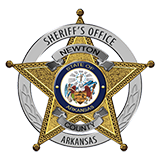 I am asking anyone who has any information about Mr. Zent to please come forward and call the Newton County Sheriff's Office at 870-446-5124." Zent is 6' 4" and weighs approximately 185 pounds with green eyes and brown hair.